Investing.com â" U.K. stocks were lower after the close on Thursday, as losses in the Construction & Materials, Industrial Engineering and Aerospace & Defense sectors led shares lower. At the close in London, the Investing.com United Kingdom 100 declined 0.36%. The best performers of the session on the Investing.com United Kingdom 100 were Pearson PLC (LON:PSON), which rose 3.78% or 31.60 points to trade at 867.00 at the close. Meanwhile, Randgold Resources Ltd (LON:RRS) added 3.20% or 194.00 points to end at 6258.00 and Diageo PLC (LON:DGE) was up 2.16% or 55. 50 points to 2624.50 in late trade. The worst performers of the session were Mediclinic International PLC (LON:MDCM), which fell 9.21% or 36.30 points to trade at 357.70 at the close. Capita PLC (LON:CPI) declined 6.07% or 8.00 points to end at 123.75 and CRH PLC (LON:CRH) was down 4.10% or 95.00 points to 2222.00. 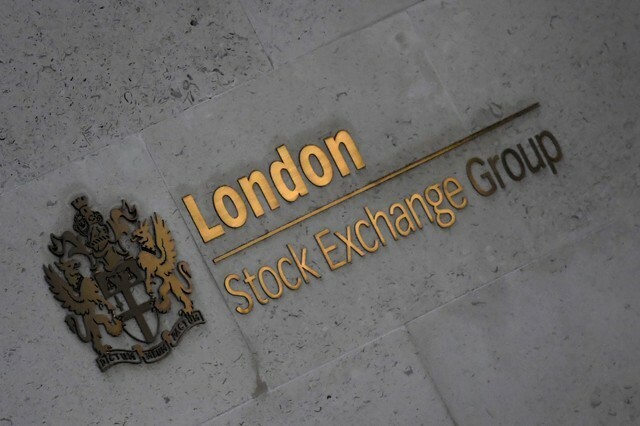 Falling stocks outnumbered advancing ones on the London Stock Exchange by 1095 to 943 and 308 ended unchanged. Shares in Mediclinic International PLC (LON:MDCM) fell to all time lows; down 9.21% or 36.30 to 357.70. Shares in CRH PLC (LON:CRH) fell to 52-week lows; down 4.10% or 95.00 to 2222.00. Gold Futures for December delivery was up 0.41% or 5.00 to $1232.40 a troy ounce. Elsewhere in commodities trading, Crude oil for delivery in November fell 0.86% or 0.60 to hit $69.15 a barrel, while the December Brent oil contract fell 0.79% or 0.63 to trade at $79.42 a barrel. GBP/USD was down 0.45% to 1.3056, while EUR/GBP rose 0.26% to 0.87 93. The US Dollar Index Futures was up 0.16% at 95.50.